Nobody likes to be caught red handed, but police seem to be especially touchy. The city of Detroit is being sued by two college students who claim that police beat and arrested them, and destroyed their cell phones -- all over recording officers arresting a third man. In June of last year, Mekkel Richards and Adam Malinowski saw police arresting a man. According to the lawsuit, the man was yelling for help and bleeding. Richards stood about 25 feet away and began recording a video. Malinowski stood about 10 feet closer and recorded on his cell phone as well. Richards and Malinowski claim that an officer approached them and told them, "Put your phone away, you can't be videotaping." Richards retreated a few steps but continued to record. The officer allegedly shoved Richards onto his back and punched him in the face. Malinowski also moved back but also continued to record until another officer reportedly charged him, put him in a headlock, and slammed him to the ground. Malinowski and Richards claim that they were handcuffed and arrested. Meanwhile officers destroyed Malinowski's cell phone and deleted video from Richards' cell phone. Both men were charged with interfering with a city official. The charges against Malinowski were dismissed after he completed probation, and the charges against Richards were dismissed after officers involved didn't show up for the trial. You have a First Amendment right to record the police while in a public place. 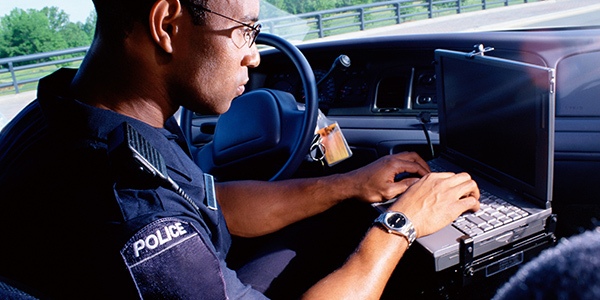 Police do not have an expectation of privacy when they're performing their duties in public. As the First Circuit Court of Appeals held in the case of Glik v. Cunniffe, "A citizen's right to film government officials ... in the discharge of their duties in a public space is a basic, vital, and well established liberty safeguarded by the First Amendment." Officers do not have a right to destroy cell phones or delete videos. However, there are some limitations on this right. The right to record the police does not give you the right to interfere with police activities. Officers can ask you to identify yourself and to step away from the crime scene. After the incident, the Flint police department distributed a department-wide memo reminding officers that the public and reporters have a right to record police officers. As for Richards and Malinowski, they want more than $75,000 in damages. If you've been attacked or arrested for recording the police, consult with an experienced criminal defense attorney for help.